The American Legion Riders have done it again. For the third straight year The American Legion Legacy Run has raised more than $1 million in scholarship money for the children of fallen military personnel and disabled veterans. The 11th annual charity motorcycle ride, sponsored by USAA, raised $1,155,363 for The American Legion Legacy Fund. The Legacy Fund provides college money for the children of U.S. military personnel killed on active duty on or after Sept. 11, 2001, as well as the children of post-9/11 veterans with a VA disability rating of 50-percent or higher. Nearly 300 Legion Riders and their passengers left Indianapolis on Aug. 21 and traveled 1,300 miles through seven states in five days – traveling through Kentucky, Tennessee, Mississippi, Alabama and Georgia before ending up outside of Cincinnati. 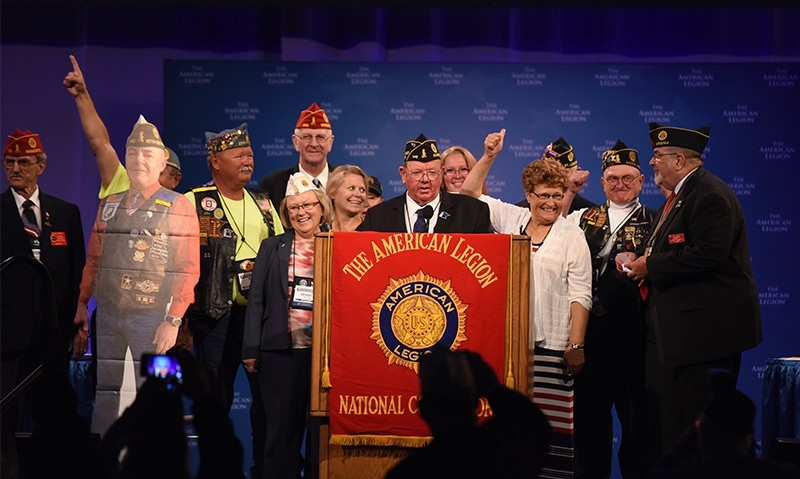 More than $555,000 was raised before or along the ride, while another $600,000 was donated Aug. 30 on the floor of The American Legion National Convention in Cincinnati. 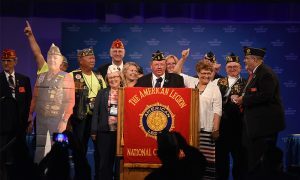 The Minnesota American Legion donated $148,367 in Cincinnati, while the Missouri American Legion contributed $90,834. Additional donations came from the Florida American Legion ($72,480), the South Carolina American Legion ($53,400) and the Wisconsin American Legion ($48,000). In 11 years, the Legacy Run has raised more than $7 million for the scholarship program.